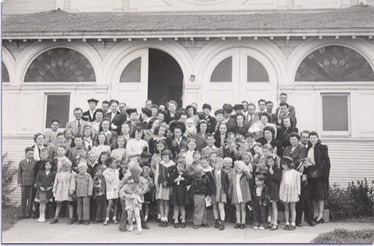 Calvary Alameda's roots can be traced back to home meetings that began in 1927 in a home located at 1112 College Avenue in Alameda. 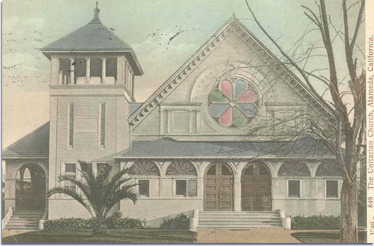 During those early years, the congregation moved to various locations throughout Alameda, including Versailles Avenue, Encinal Avenue, Park Street, Lincoln Avenue and Santa Clara Avenue. The church was officially set in order on November 18, 1931 under the ministry of Rev. C.J. Kendall. With the congregation numbering 25 adults, they applied for affiliation with the Assemblies of God. 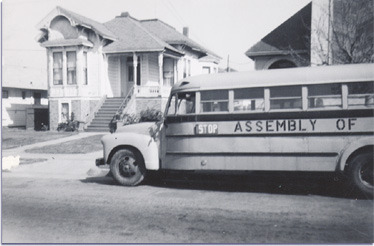 Under the name of Glad Tidings Tabernacle of the Assemblies of God, the congregation occupied the building at 1705Lincoln Avenue, currently the site of the "House of Lites." During the ministry of C.E. Lebeck, the church moved into a Unitarian Church building at 1516 Grand Street-where it has been ever since. The congregation rented the building for several years before purchasing it in 1937 for $5,000. When originally built in 1894, the building cost $8,430. Tragedy struck the church on Sunday, February 12, 1961 as an arsonist set fire to the building. The damage was severe. Much of the old sanctuary with its exposed beams, stained glass windows and a pipe organ was destroyed by fire and smoke. With the help of a faithful congregation, the church was rebuilt andremodeled. For many years the church was called First Assembly God. In the early 1970's, the name was changed to Calvary Christian Center, and then finally in 2013 was changed to Calvary Alameda. 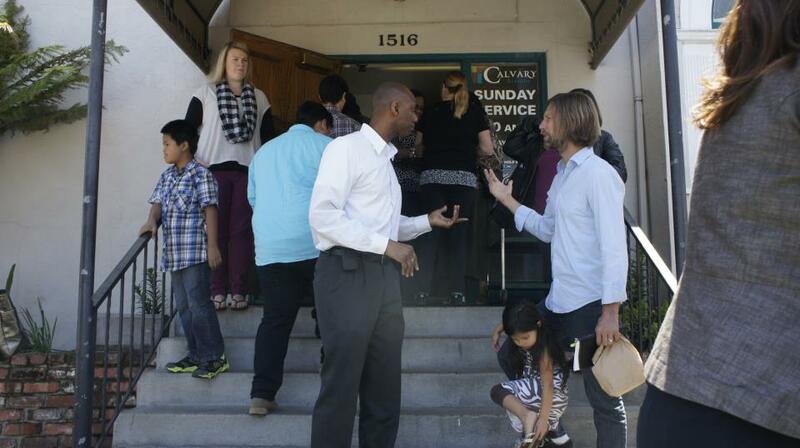 Calvary has a long and rich history in the City of Alameda. From its humble beginnings in a home on College Avenue to today, Calvary Alameda has a heart for people. Our variety of special events, such as our Easter and Fourth of July Celebrations, as well as our Summer Fun Fair show the church's commitment to the community of Alameda. If you would like to come and experience the worship of Calvary Alameda, including our Sunday services and Youth services, please visit our Service & Times page for more information.